I'm not going to say good morning as it's far from that. Another soaking wet day, I think we'll need to start building an ark! Best not complain as it could be worse ... it could be snow. Nothing much happening in our household today so I suppose I'd better get the iron and hoover out. I might just get a little play time in the craft room in the afternoon. Take care and try to keep dry. Super card Anne. Such a sweet image and great layout. Wow such a pretty card with such a feel of romance and softness. I love this one. Thanks for sharing with us here at House Mouse & Friends. Yes, I need to get my iron and hoover out .. .. but will just shut myself into my craft pod instead LOL!! Great layout and love your image and colour choices. Hope your weather is a little better today. Such an adorable card Anne, I love your CAS style and a lovely colour scheme........your image is just adorable and fabulous details!!! This is so adorable Anne. Love the colours and layout. This is beautiful Anne. I love the card design. What sweet little mice under the moonlight. That's a fun card design. Hope the weather is a little bit drier for you. Loving the beautiful yellow touches on this gorgeous creation. That mice couple are so sweet against the Moon. Pretty design too. Thanks for joining us for the House Mouse and Friends Monday Challenge. Awww, so pretty Anne! Thanks for sharing with us at Craft Your Passion! Beautiful, sweet image and great layout! Love the colors! 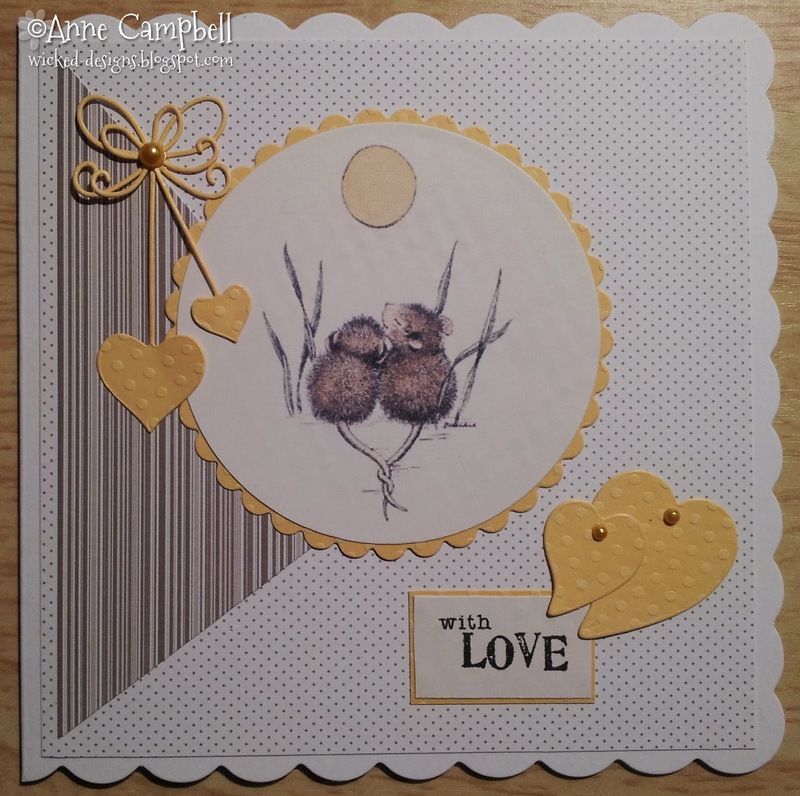 Gorgeous fresh take on the LOVE chall theme, the image is so sweet & your lovely fresh clean design with yellow hearts very creative lovely work.